Is it achievable to display the Permission Screen for a specific app via an Intent or something similar? It's possible to display the app settings with the following code - is there an analog solution for directly opening the Permission Screen? I already did some research on this but I wasn't able to find a proper solution - I would appreciate every help! According to the official Marshmallow permissions video (at the 4m 43s mark), you must open the application Settings page instead (from there it is one click to the Permissions page). This is not possible. I tried to do so, too. I could figure out the package name and the activity which will be started. But in the end you will get a security exception because of a missing permission you can't declare. As I don't want to have this in my history stack I remove it using intent flags. Opens Details setting page for App. From here user have to manually assign desired permission. Optional. If set then opens Settings Screen(Activity) as new activity. Otherwise, it will be opened in currently running activity. Prepares or creates URI, whereas, getPackageName() - returns name of your application package. Don't forget to set this. Otherwise, you will get android.content.ActivityNotFoundException. Because you have set your intent as Settings.ACTION_APPLICATION_DETAILS_SETTINGS and android expects some name to search. It is not possible to pragmatically open the permission screen. Instead, we can open app settings screen. If we are talking about FLYME OS (Meizu) ONLY there are it's own Security app with permissions. Of-cause BuildConfig is your app's BuildConfig. Though you can't directly see the setting page, you can change the access permissions. 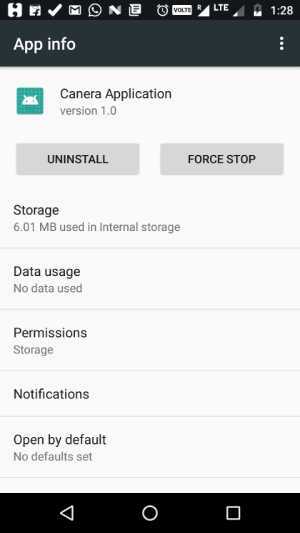 How to open app permission Settings in MIUI devices programmatically? Android M : How to open Permission Dialog even if user selects Never Ask Again ? How do I invoke the phone settings from flutter dart application? 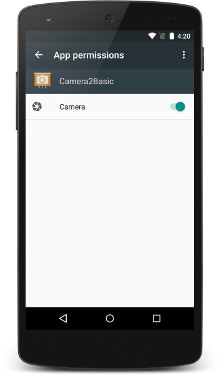 Working example of getting permission from a Service in Android Marshmallow?